Accidents happen and if you have had an accident you may be in a position to make a claim for compensation. Some accidents are obviously serious enough to leave the person with permanent injuries from which they will not recover, it may even mean that they are unable to resume their previous lifestyle. In cases such as that, compensation payouts can be substantial and the process has to be handled very carefully so that the injured party can be compensated in such a way as to be comfortable enough for the rest of their life. Whatever your injury, you must take some sensible steps to find the personal injury lawyer that is appropriate for you, not all personal injury lawyers are equal and not all have worked on exactly the same type of cases, so research is essential. You could start by obtaining as many word of mouth recommendations as you can, friends, family, social media contacts can all valuable information or suggestions and if they don’t know anyone, they may work beside someone or be friends with someone who does. Personal recommendations are always helpful. You could also check online, Google search and have a look around at what comes up, sometimes you can spot a good fit like Brian D. Guralnick Injury Lawyers. Even with sensible steps to achieve recommendations, you still have to research your options as you must be able to find someone with whom you can have easy communication and has worked on similar cases to yours before. There is no point in appointing a lawyer who you can never get on the telephone or who never answers your emails. Someone who has worked on similar cases will have learned a lot throughout the process and would be in a good place to be able to take on your case. It may be that you can have a free initial consultation, so use that, make a list of important questions, have a chat and make sure that you come out with the answers. If you do not or the lawyer makes unrealistic promises, that could be a red flag You can gain a lot from speaking to a person so make sure that you do that before signing on the line and make sure that the person with whom you speak would be the person who is taking the case forward for you. Part of your research should involve checking the lawyer’s credentials and reviews, check reviews from a variety of sources. Before signing anything, make sure that you are absolutely clear on what you should be paying and when you should be paying it. The terms and conditions associated with your agreement should be transparent and if they are not and if they are vague in any way that should signal another red flag. 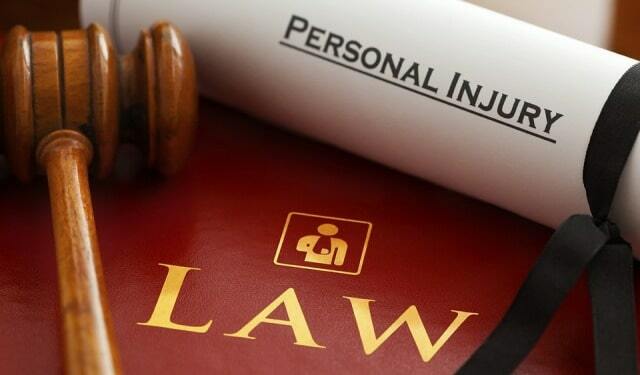 Any personal injury lawyer should be realistic with what is expected, remember, there are no guarantees when it comes to personal injury so the best that your lawyer can do is to offer his / her thoughts based on their experience. I hope you enjoyed this blog post about why you should do your research before hiring a personal injury lawyer or trial attorney. Interested in more articles about law firms and lawyers?